We cover All Suburbs, Perth North, Perth South, Perth Central! We are your specialist service for tile cleaning, stone cleaning, grout cleaning and tile, stone and grout sealing, and our service covers all suburbs within 60 minutes drive from Perth CBD. Watch the tile lighten up from dirt you never knew existed on the tiles you thought were clean. Watch the grout return to the original color. You will feel a great sense of freshness and clean. 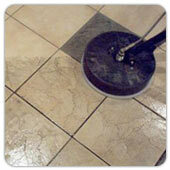 We will provide professional, prompt and reliable tile and grout cleaning and sealing in your home or business. Have you tried scrubbing the tile and grout only to be disappointed with the results? Once a porous surface like marble, ceramic, or porcelain gets dirty, conventional cleaning products won't get them clean. 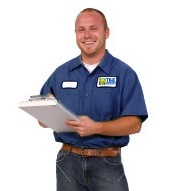 Nothing cleans your tile more than a professional clean by Tile Cleaners! With us your tile is cleaned in accordance to the industry standards, Our cleaning equipment combined with the unique cleaning process will ensure your tiles are cleaned thoroughly. Tile Cleaners .com.au employs experienced tile cleaning specialists and offers the service most suited for your tile as well as expert stain and odour removal treatment of such stains. After tile cleaning it is recommended to put a tile sealer on the grout to make it resistant to spills and stains. 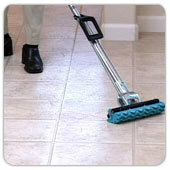 This also makes it easier to clean, and makes your tile look cleaner longer. Not all types of tiles can be sealed, and there are different sealers for different types of tiles, with varying qualities and prices. 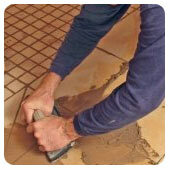 check our guide for advice on sealing your type of tile. 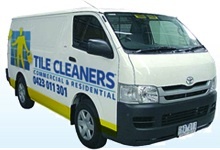 We specialise in tile cleaning for commercial & domestic places all around Perth. In general ceramic tiles are easily maintained with general cleaning methods but grout often becomes stained & discoloured proving very difficult to clean effectively. 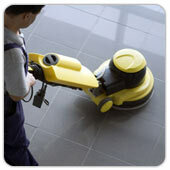 Cleaning grout takes a combination of specialised industrial equipment and heavy duty cleaning products. By using a specially developed cleaning solution & high pressure cleaning equipment we are able to clean your ceramic tiles & grout to the highest standards. This new tile & grout cleaning system has only been available in Perth for a short time. The process gives un-rivalled cleaning results compared to any other method. 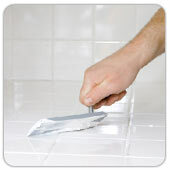 We recommend using a tile sealer on your grout after it has been cleaned. This extra layer of protection seals the grout, making it resistant to spills and stains and easier to clean in the future. 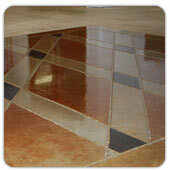 Commercial ceramic tiles & grout in kitchens, shops, swimming pools & showrooms etc. are easily restored using our system. A natural stone surface, once prepared and sealed correctly, can add a great deal of style to your property and give it a real feature relative to your desired look whether that is modern and contemporary or more traditional. Read through our content below for tips and information on the best methods and steps to take on how to install, correctly prepare, seal and care for your stone surface. If you have any questions or would like a free survey & quote please contact us. Over time weather, soil erosion, dirt, grease and oil spills, can mar the look of your driveway and walk ways. Pressure washing can restore the outdoor surfaces of your come and business back to looking like new. When pressure washing we use the highest caliber equipment and chemicals to ensure you are happy with the end result we are a full service company, providing a wide range of residential and commercial services. Mold and mildew can build up on the outside surfaces of your property. Not only does this look unappealing, but it can cause health problems. Using the wrong chemicals can damage the surfaces of your property. We can help enhance the look and life of your property with our professional power washing services. After pressure washing it is sometimes recommended to stripp and re-seal the surfaces to restore them to look like new. Call us today or make an appointment using our online system for a free consultation and quote. 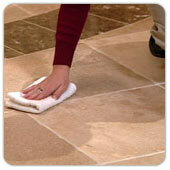 Why should you clean your stone surface? Natural stone products contain dirt, residues, dust and grime in their pores. These pores need to be cleaned well before any sealant is applied to the surface of the stone. If dirt etc is trapped under the stone sealer sooner or later it will cause a milky white residue between the top of the stone and the underside of the sealer. The only way to remove this is to remove the stone sealer and clean. Why should you seal a stone surface and when? All natural stone products will stain almost immediately after spilling anything on them. Sealing a stone surface will be effective against permanent damage but spills should still be cleaned up as quickly as possible. There are different sealing methods for different natural stone surfaces. Sandstone, Terracotta and Limestone must be sealed before the tiles are laid and grouted. All are very porous and will soak up stained water from the adhesive, grout etc very quickly. Terracotta in particular is immensely porous and should be sealed front, back and sides before laying. Limestone is also particularly vulnerable and gloves should be worn when handling it as finger marks can stain the surface and will not necessarily show until its too late. Granite, Marble, Slate and Travertine are sealed on all edges and the top after being laid and grouted. These floors must be thoroughly cleaned prior to sealing. How often should you re-seal? Sealing stone, when done properly, lasts from around 5 - 10 years, and some expensive types of sealer lasts between 15 years to a lifetime, and to reseal a natural stone floor special stone seal removers can be bought. A natural stone floor can keep its natural finish for a lifetime if looked after properly. To ensure that this is true make sure you use the right products for your natural stone floor. Aside from flooring surfaces you may find a great deal of other stone surfaces within a property such as stairs, tables, pilers and fireplaces. Fireplaces can be particularly susceptible to staining from carbon deposits (for open fires) and also UV damage. These surfaces should also be sealed to prevent staining and damage using the methods mentioned above. How can I tell if my stone surface is sealed? There is a simple test that can be performed in order for you to check if your stone, concrete or tiled floor has been sealed correctly, this is called the water test. Pour a little water onto the surface and level out with your finger and observe. If the water is absorbed then your surface is in need of sealing as soon as possible. However, if the water turns into small balls and is repelled then your surface has been sealed.